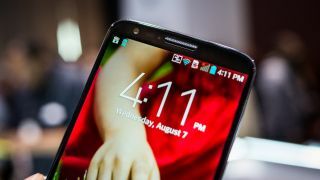 LG has confirmed that it has no plans to launch a Google edition of its new flagship, the LG G2. The Samsung Galaxy S4 and HTC One both come in a Google-flavour sold through Google Play - both handsets were among the first to get the Android 4.3 update because there's no pesky Sense or Touchwiz overlay to worry about. "As of right now, LG doesn't have any plans for a Google Play Edition," Ken Hong, LG PR, told Android Community. The reason being that LG is focusing on getting the G2 out there through networks rather than by selling the handset direct. However, Hong did add, "That... could change down the road." So all hope is not lost, vanilla Android fans. The LG G2 launches with Android 4.2 rather than the more modern but fairly iterative Android 4.3. Find out what we made the handset in our in-depth hands on LG G2 review - and check out the team's reactions too.